This post was created on August 29 to aid Hurricane Harvey recovery and relief efforts. It was modified on September 11, 2017 to include information for anyone seeking to support nonprofits in Florida involved in the recovery efforts following Hurricane Irma, and again on October 2 for Hurricane Maria recovery in Puerto Rico. Rescue operations are currently underway in Houston and surrounding areas as the unrelenting rain and rising floodwaters continue to threaten residents and communities across Southeast Texas and parts of Louisiana. Many of you have asked how we can aid these relief efforts and help the victims affected by the devastating floods. When disaster strikes, it is a good idea to seek out information from the local community foundation regarding how you can best help with recovery efforts. 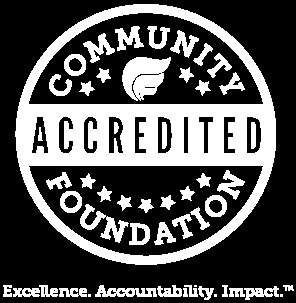 Community foundations have deep community knowledge and a lasting commitment to community improvement. In response to the overwhelming interest in supporting Houston's recovery efforts, Houston Mayor Turner established the Hurricane Harvey Relief Fund with the Greater Houston Community Foundation to accept tax-deductible flood relief donations. If you would like to support the Hurricane Harvey Relief Fund, please click here for details. As Harvey now heads towards Louisiana, the Mayor of New Orleans has activated the NOLA Pay It Forward Fund: Hurricane Harvey in partnership with the Greater New Orleans Foundation. The fund will provide resources for the early relief and rebuilding efforts of those communities impacted by Hurricane Harvey. The American Red Cross is accepting donations on its website, by phone at 1-800-RED-CROSS, or you can text HARVEY to 90999 to donate $10. Council on Foundations Disaster Giving Resources, including a recording of an August 29 webinar hosted with the Center for Disaster Philanthropy. One America Appeal is the effort of former Presidents to help our fellow citizens in Texas, Florida and the Caribbean as they recover and rebuild. To help animals suffering from the disaster, visit the Houston Humane Society. The Texas Diaper Bank is asking for donations of cash and items such as diapers and wipes. A list of much needed items is available here and donations can be made online here. Additional information about local community response efforts around Texas and resources can be found here. Hurricane Irma Community Recovery Fund to support grassroots organizing for recovery in the most vulnerable communities. Hispanics in Philanthropy, Puerto Rico Community Foundation, and La Red de Fundaciones de Puerto Rico have set up a Hurricane Relief Fund for Puerto Rico, Cuba and Florida. United For Puerto Rico is providing aid and support to those affected in Puerto Rico by Hurricane Irma and Hurricane María. The Community Foundation of the Virgin Islands is collecting donations to the Fund for the Virgin Islands to aid Hurricane Irma relief and recovery. You may request a grant from your fund with The Community Foundation to support many of the organizations mentioned in this message, or to other qualifying nonprofits and public charities. Please log into your Donor Central account to submit your grant recommendations. If there are ways that you would like to offer support beyond what we have suggested, feel free to contact your donor services representative or any of our staff with your questions.